When buying the shares of a private company, there are many issues for the buyer to consider. The factors discussed below are particularly relevant to share purchases, as opposed to asset purchases, as with the former the buyer acquires not just the assets, but all of target’s liabilities too, and so the risk is greater. As a result of this, the buyer must take great caution in exercising a share purchase to ensure the target company is ‘safe’ to buy. The common law rule of caveat emptor (‘buyer beware’) applies to the acquisition of a company. It is therefore important for the buyer to carry out a full due diligence investigation into the target to identify any potential risks. It is through effective and thorough due diligence that will determine the main deal negotiation points and legal decisions. Due diligence can be categorised into three areas: legal, financial and commercial. The legal due diligence is carried out by the buyer’s solicitors in the form of a lengthy questionnaire completed by the seller (if the sale is via auction the seller posts information into a ‘data room’). If the buyer proceeds with the acquisition, the principal contractual document used is a Share Purchase Agreement (“SPA“). In a private treaty sale (as opposed to an auction sale) the first draft of this is produced by the buyer’s solicitors. The SPA will contain a series of warranties and indemnities to protect the buyer, as well as dealing with matters such as consideration, completion arrangements, and conditions of the sale. A warranty is a statement of fact about the target company, which, if untrue, gives rise to a claim for damages against the seller. Warranties are given in general form by the seller and are then disclosed against in a separate disclosure letter so as to limit any potential liability of the seller before completing and to put the buyer on notice accordingly. An indemnity is a promise made by the seller to reimburse the buyer if a particular circumstance arises, and gives the buyer a claim in debt. These provisions are very important legal considerations stemming from the due diligence, because they offer the buyer contractual protection. Some of the main issues which a buyer will want to seek contractual protection against in the SPA are discussed below. Particularly with older and larger companies, there could be a significant pension liability that the buyer will inherit. If the target company is leaving a group of companies where a final salary scheme is in place, and that scheme is in deficit, s. 75 Pension Act 1995 applies and that target company may become liable for a proportion of that deficit. The buyer will need to ask the seller to indemnify it against any possible s. 75 liability of the target company. This indemnity is pivotal to any share purchase, because a deficit can be so big and carry such a great financial risk that the deal may have to be restructured as a business/asset sale to avoid this liability. The buyer’s solicitors must carry out adequate searches and investigations as to the title of all the property which will be transferred by the share purchase, and any applicable tenant covenants in leases. Similarly, the buyer wants to ensure that target’s intellectual property is duly registered, renewal fees are paid, and the IP expiry dates don’t devalue the business. 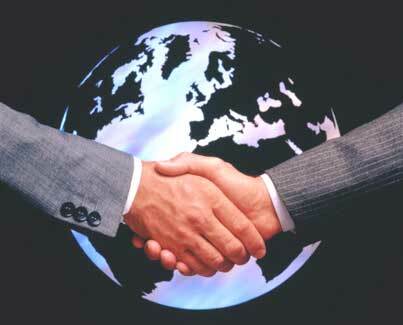 The buyer will also need to understand the extent and value of all the unregistered IP it will be acquiring. As the buyer inherits all liabilities they will also want to ensure there are no third party claims surrounding the target’s IP. The buyer will want to receive suitable representations and warranties surrounding the target’s employees. As all assets and liabilities transfer under a share purchase, the employees will remain under contract at the target, which will fall within the buyer’s group. The buyer will want to ensure no key employees have given notice to leave the target, and there are no outstanding or forthcoming employment claims against the company. As part of the financial due diligence the buyer will need to investigate the figures in the accounts and in particular scrutinise the debts of the target. The buyer may want an indemnity to protect against any bad debts. The buyer will also need relevant contractual protections as to the payment of all tax due for the period up until completion and will want to be assured there any no outstanding tax investigations by HMRC. It is especially important to delve into the finances of the target so that the buyer can calculate a reasonable price to pay for the company and negotiate accordingly with the seller. There are of course many more legal considerations which will vary depending on the nature and the complexity of the acquisition. It is through effective due diligence that the buyer can identify any risks and duly mitigate them. Ultimately, the role of the buyer’s solicitors is to structure the deal in a way which makes the target safe to buy while all risks are considered and the buyer ensures he completes the deal at the correct price and on good terms generally.